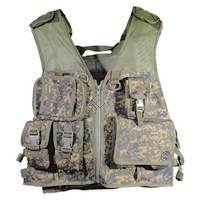 Tactical vests can be as light duty or as heavy duty as you want and then some. Pick your vest by the features that are most important to you. Determine how much paint you want to carry onto the battlefield. How much air will you need to shoot that paint with the paintball gun you are using? Where is the weight going to be the most comfortable for you? How much extra gear will you be carrying such as rockets, grenades, and maps? 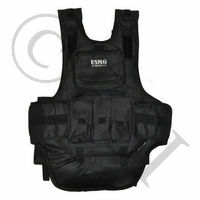 Answer these questions for yourself and you’ll be on your way to deciding what type of vest you need or the vest you want. Then you just need to pick a color to look cool! 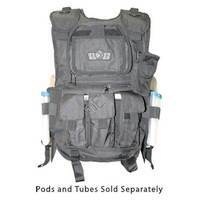 With many pouches and the option to run a remote line, what more could you ask for in a vest? . 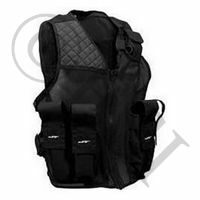 A high quality vest with serious storage. .